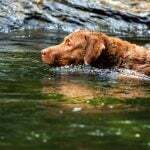 Hip dysplasia is a common canine disease that may be congenital or brought on by lifestyle factors. It is a progressive, degenerative disease that causes the hip bone or thigh bone (femur) to pop out causing pain and arthritis-like symptoms. Hip dysplasia is commonly seen in large breeds like St. Bernard, German Shepherd and, Swiss Mountain Dogs. It results in lameness and wavery gait and affects both male and female dogs. Let us study the symptoms, home remedies, treatment options and some preventive tips for hip dysplasia in canines. Dogs with hip dysplasia often have normal hips at birth but the condition tends to reveal itself at 4-12 months. Affected puppies may show abnormal X-rays and might have pain when walking or running. Pressing on the dog’s rump may cause it to ‘drop’. When your puppy lies on his back, he might not be able to extend into frog leg position without causing pain. The best way to tell if your dog has this disease is with the help of an X- ray of the hips. Good X- rays are only obtained when the dog is sedated. 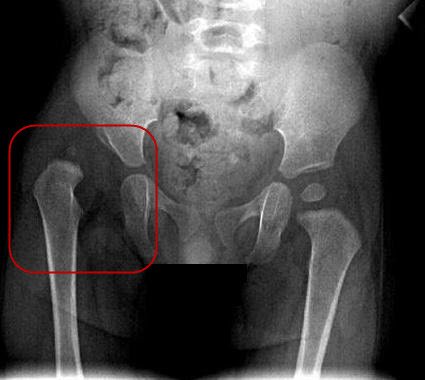 The X-ray might show increased space in the hip joint or the hip ball partly out of its socket. There are several causes of hip dysplasia. Sometimes, the condition is congenital and puppies reared from dogs having HD are twice as likely to develop it as compared to those reared from dogs without HD. Therefore, it is best not to breed dogs with this condition. Genetics account for nearly 25% of a dog’s chance of developing hip dysplasia. Inadequate or improper exercise in the puppy’s growing years can also lead to this condition. It is important to prevent young dogs from jumping from heights or from standing on rear legs, and from running on pavement made with stone, asphalt, or concrete. Veterinarians consider hip dysplasia to be polygenetic. This means that the genetic component of it can be influenced by lifestyle factors like diet, weight, activity level etc. Very high protein and high fat diets can aggravate the condition. Similarly, large dogs with obesity are more likely to develop HD. HD can be treated both medically and surgically. Medical treatment includes use of NSAIDs to reduce pain and inflammation. Medicines like Rimadyl, Cosequin and Adequan relieve pain and also heal cartilage. Dog owners must also provide moderate exercise to dogs with HD. Allow your pet to walk/run on soft trails instead of surfaces made with concrete, tiles or stone. Avoid playing fetch with pets having HD. An X-ray can indicate whether your dog needs surgery. Surgery is especially recommended for dogs who continue showing lameness and other HD symptoms despite medication. Also, in some puppies, corrective surgery can prevent further degeneration. Cost of surgery depends on the kind of surgery but if you consider it, it can definitely improve your pet’s quality of life and give you several years of joy and togetherness with him. Also, managing the condition only with medicine and vet checkups can often turn out to be more expensive over the years as compared to one-time surgery option. Administer supplements containing Green Lipped Mussel extract. These are known to stabilize tendons and ligaments and prevent arthritis. Vet Martin Zucker recommends Mega-C a supplement high in Vitamin C and also Designing Health’s Missing Link supplement. The latter is a whole food supplement containing tons of minerals and vitamins. Bio Vet International’s Dismutase is another great supplement that significantly improves quality of life in dogs with HD. It benefits muscles and tendons and gives additional support to the joints. RAW food diet consisting of raw bones,meat and organs is beneficial for pets with dysplasia. It results in cleaner, fresher breath, stronger bones and teeth and also improved overall health. Whatever diet you choose, do weigh your pet from time to time and make sure to prevent weight gain. Even an ounce of extra weight can be extremely taxing on your pet’s inflamed joint. Canine physical therapy and dog acupressure can help your pet considerably. Joint manipulation and application of heat compresses can also be made a part of dog hip dysplasia home treatment. In dogs having genetic predisposition to HD, preventing weight gain is the best way to reduce undue stress on the hips. Feed a calorie controlled diet as discussed above or talk to your vet about the best diet for your young pet having predisposition to HD. 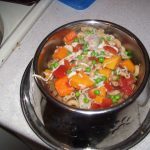 For overweight dogs, you must feed calorie restricted diets. In case of the latter, feeding a multivitamin/mineral supplement can actually be detrimental to health. 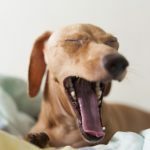 How Do Dogs Get Kennel Cough? How Can You Prevent and Treat It? Fresh Dog Food Home Delivery Service – Which is the Best?